Becky Vickers(BECKS) - Everyday Ghost Hunters/Goatman's Bridge Ghost Tours: ALL GOOD DOGS GO TO HEAVEN. RIGHT? ARE DO THEY STAY BEHIND AFTER DEATH AS A LOYAL COMPANION? ALL GOOD DOGS GO TO HEAVEN. RIGHT? ARE DO THEY STAY BEHIND AFTER DEATH AS A LOYAL COMPANION? You think you feel something at the foot of your bed. You feel something snuggling against your leg. What is going on? Could this REALLY be your beloved pet that has passed? Of course it could! We all have, more than likely, experienced the loss of a close member of the family....your pet. If you are a pet owner, no matter what the pet....a dog, cat, bird or even snakes you develop a love for them that is unconditional. On that bad day you had, they don't care. The day you wrecked you car, you were still greeted with a long, wet lick in the face or when you are sobbing at that sad, sad last episode of Friends, your "best friend" jumps in your lap and gives you THAT SWEET look of "it's going to ok". So, what happens when we loose them? We grieve and grieve. 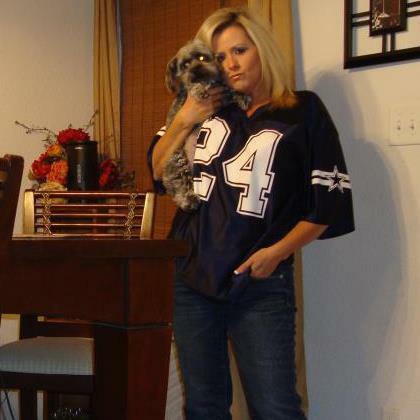 This I know first hand, as I lost my little dog Holly very unexpectedly and everyday my I think about her. I can barely look at a picture of her without breaking down. But here's the deal. I have seen her and I have felt her. 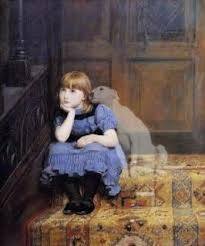 Do pets really have spirits that stay behind? Some do. Listen, sometimes when we see apparitions or ghosts it's because of a tragic event and the person doesn't know they are dead. Or they have to make sure someone completes "their" journey. And sometimes, it's just to help us with the grieving process. Pets are different. There is only one reason their spirit stays behind. And that's YOU! Our pets entire lives are built around us and being our companion. Nothing makes a pet happier than pleasing their owner. So, guess what? When they die....that doesn't change. And let me tell, thanks goodness it doesn't! The night Holly died I had gone to the store and I came home and found her dead by the door and I have always thought, if I hadn't gone to the store that night maybe I could have saved her. Was she by the door waiting for me to return? The guilt was and is as real as anything I have ever felt. Holly used to sleep with me so I had her buried right by my bedroom window so that she could still "sleep close" to me. Anyway, after that sad story, I can tell you that I heard Holly many nights walking in the hall like she used to do and I would see her literally running through the house. I think Holly knew how much pain I was in and wanted to make it better...yes, even from the other side. And guess what? EVERY TIME I saw her or heard her I would smile. So, if you think you have lost your "best friend" that always had nothing but unconditional love for you, you haven't. The shadow in hall or the dog toy that suddenly shows up out of know-where....just might be your "best friend" paying you a visit.